Leisure and Recreation Sites – The main benefit reported by many leisure and sport complexes, holiday sites, clubs and pubs is the high level of customer perception that the location has above average security. Holiday/Caravan Parks – As we are sure you are aware, security is increasingly becoming an important factor to those who are considering holiday home ownership. Attracting one or two additional owner-occupiers as a result of installing CCTV will often pay for the system. Vehicle Monitoring – A VNPR (Vehicle Number Plate Recognition) camera mounted at the entrance to an area will enable you to monitor and record all vehicles, with their number plates, twenty-four hours a day. Various alerts can be created notify when known or unknown vehicles pass by. Gaming and Vending Machines – Gaming, vending and cigarette machines can be a frequent target for the criminal element. CCTV can prevent attacks on these ‘cash’ areas. Reception Areas and Bars – As receptionists are open to anything from abuse to armed attack CCTV not only gives a visual record of people as they arrive on site but also acts as a deterrent to criminal or abusive behaviour. Swimming Pools – Systems can be used to detect unauthorised visitors entering the site and using the pool or to make sure that r that health and safety policy is adhered to in areas that cannot be directly observed. Staff Theft and Fraud – Cellars and kitchens can be covered to deter and detect any staff theft. Nurseries – Strategically placed CCTV cameras can give peace of mind to staff and parents that children are well cared for. Images can be reviewed to identify the cause of a bump or bruise and all information can be securely stored. Remote Sites – Often remote sites or sites where there are no staff are difficult to secure, monitored CCTV systems can activate when unwanted activity is detected and ‘live’ audible warnings can be issued to scare off intruders. And many more uses besides! 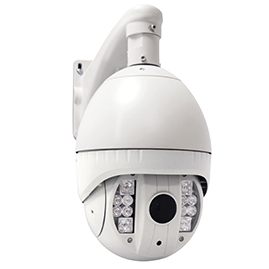 CCTV is a constantly evolving technology and at Pyrotec we have installed everything from a single analogue camera and monitor up to fully integrated IP, server based systems. Other recent innovations include ‘Cloud’ based storage where no on-site monitor or recording device is required. Our surveyors will attend site to conduct a free survey, discuss your requirements and provide suitable options to fit your needs.